This stock design was employed for the first Aldi store in DC. When Aldi first entered DC proper, they did a traditional single story parking fronted development, and some bloggers lamented that it wasn't mixed use, legitimately, although the real estate market wasn't ready at the time. Planning needs to look at price points, in terms of food security and supermarket planning. When the store first opened (I had been introduced to the company by their store in Hyattsville), I found illuminating one of the quotes in an article from the Washington Post, "Grocery store openings boost underserved communities in D.C. region." It made me realize that in planning for a community's retail mix, we don't necessarily aim to cover all price points in a retail category, and that facilitating access to lower cost food--including supermarkets not just farmers markets (although in DC, farmers markets tend to offer high priced food, not low priced food)--ought to be a part of retail and revitalization planning. Now, Aldi aiming for higher income customers, in cities. Out of the concept of disruptive innovation, Aldi first put stores in low income areas and the outer suburbs. But now they are focused on higher income segments and cities. Last summer, I visited one of the company's new Southern California stores and I was blown away--it was nice, but still small and with the limited assortment they're known for. Supermarkets as part of mixed use projects. 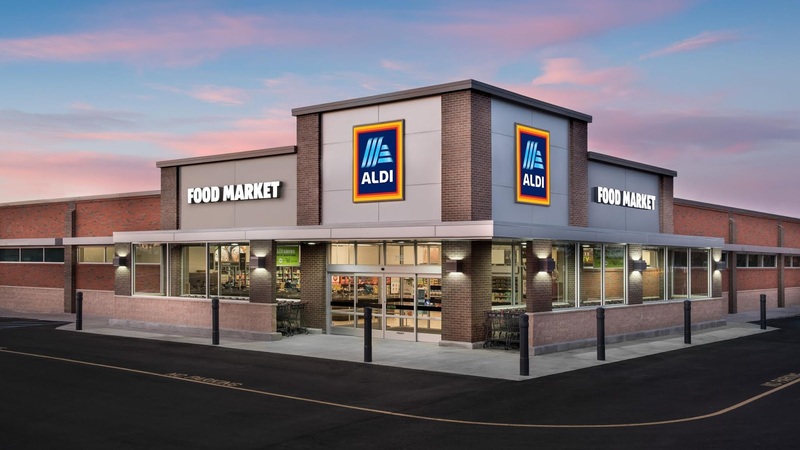 I've written about how a few years ago, as an outlier step, Aldi, the discount supermarket chain, took a space on the ground floor of a multi-story housing building in Minneapolis. They have other similar projects now in Greater Minneapolis. And last year, a commenter in response to an earlier post called our attention to a similar project in Fairfax County, Virginia ("Aldi to go into a multi-story mixed use development in Fairfax County"). 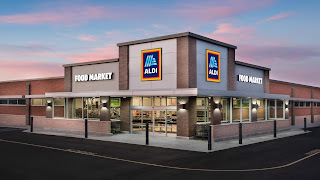 Aldi coming to Fort Totten. 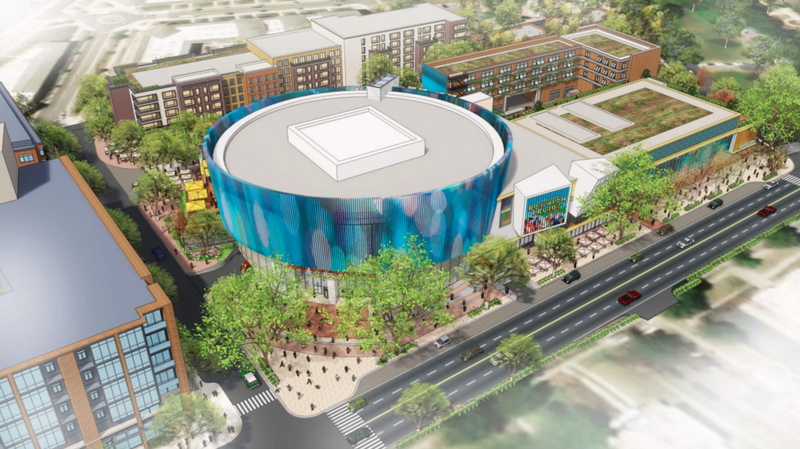 Now, Aldi has announced they will be taking space in the Art Place development in Fort Totten ("Aldi signs lease for largest D.C. store, in Fort Totten," Washington Business Journal). It will anchor the second phase of the project (which is interesting in itself as an intensification of a former garden apartment complex). For many years it was a struggle to get supermarkets to consider such projects, although to some extent Safeway was an early adopter, and Giant followed their lead albeit after almost 10 years. Aldi is ahead of the adoption curve in that sense. Interestingly, it will be a couple blocks from Walmart.